It didn’t take long for the video electrons to dry after President Barack Obama announced that he will help Iraq “Prevent an act of genocide” when the US began to launch airstrikes on ISIL’s growing footprint in Iraq, which is being supplemented by a humanitarian aid airdrop. If it weren’t for the 100,000+ civilian deaths at the hands of President Bush (The Second) during Iraq War II, and the ongoing militia killings in Libya after the United Nations-sanctioned bomb-to-protect civilians operation that was carried out by by the US NATO, I could almost laugh. I have a hard time understanding how the multi-billion dollar surveillance machine built by the US can capture my computer keystrokes as I write this post, but was unable to detect a large parade of heavily-armed terrorists riding in white pickup trucks from Syria on their way to invade parts of Iraq, but I’m a bit less confused about why Obama ignored Maliki’s initial requests for help – you know, to prevent this “genocide” and all – over the past few weeks. The only question left in my head is what Iraq had to pay in order to finally get this help. Let’s wait and see. Meanwhile, the latest twist in Iraqi events proves that America can’t even win at a game of geopolitical checkers, let alone chess. SITE Intelligence tweeted that ISIL intends to activate its sleeper cells planted in the West and switch to attack mode in retaliation to the recent US airstrikes. The story is plausible, since ISIL is an al-Qaeda offshoot, and Qaeda sleepers can easily become ISIL operatives as they have done in Syria. If you’re the owner of any firm that services the homeland security industry, you’ve probably changed underpants every hour for the past few days. This War on Terror thing is the gift that keeps on giving! Come on, are you surprised? I could almost laugh here as well if the subject wasn’t so serious. Read my earlier post to understand where I’m coming from, but allow me to reiterate that Iraq did not have an al-Qaeda problem prior to the US invasion. However, that invasion begat the one of the largest al-Qaeda recruitment events in the terrorist group’s history, along with widespread lawlessness and murderous chaos for Iraq; which begat al-Qaeda in Iraq; which begat this Islamic State army or ISIL, which begat a a contentious union of sorts between al-Qaeda franchises in Iraq and Syria, where the latter received unneeded help in the form of (indirect) US military aid to topple Syria’s Bashar al-Assad; which begat a nesting area for ISIL to snowball into what you see today. All of this happened because of a series of meat-headed US policies. 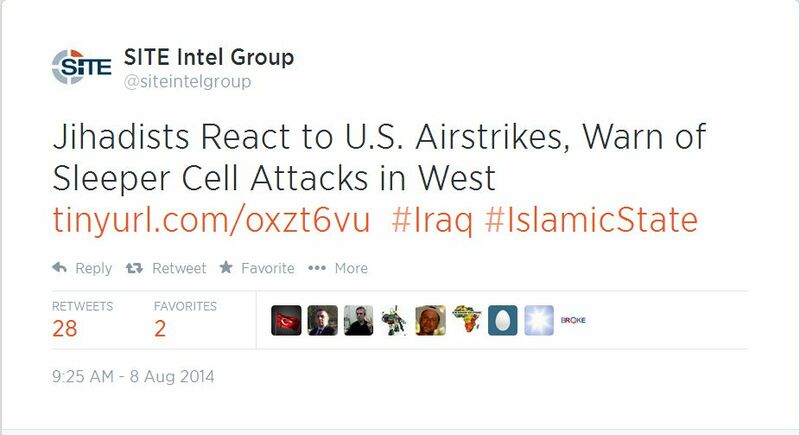 But check this out — wouldn’t the modus operandi of this US War on Terror mean that the US will attempt to destroy ISIL? Apparently not — the US mission underway won’t roll back any of ISIL’s gains or threaten its existence, but will contain the group within defined borders. This entry was posted in Politics, War and tagged Arab Spring, Barack Obama, George W Bush, iraq, isil, Libya, NSA, Syria. Bookmark the permalink.